This article, by Lisa Vizzini, was originally published in the June 2017 issue of 48° North. Earlier this year, the sailboat industry was shaken when Hall Spars and Navtec Rigging Solutions closed their United States operations. Over the years, Navtec and Hall shared many progressive, engineering driven, high profile projects. The loss of these two innovative domestic manufacturers leaves many, especially those with rod-rigged boats, asking who will fill the voids; and more specifically, about the future of rod rigging availability. Hall Spars, founded in 1980, fabricated high quality aluminum, and later carbon, spars and rigging components. Their state-of-the-art plant in Rhode Island boasted a 185’ carbon autoclave. When I visited in 2009, Nan Hall proudly showed off the 65’ carbon boom and described the process for building the 179’ mast for the modern J-Class sloop, Lionheart. Over the years, many sailors had the pleasure of directly speaking with Nan Hall about their Hall-rigged project. Nan was always patient and courteous. While Hall Spars closed their US facility, Hall Spars New Zealand and Holland were still operating. At the time of this writing, new developments are still taking place. North Technology Group (the corporation that encompasses North Sails and other businesses) has purchased Hall Spars Worldwide. It is good to know that the intellectual property at Hall is not going to be lost. In 1970, Navtec was founded by Ken King with the goal to bring better rod rigging technology to the marketplace. Their initial customers were America’s Cup contenders. At Navtec, Beau LeBlanc, Ty Goss, and other brilliant engineers were consistently forthcoming with information about rigging and hydraulics when asked by enthusiasts and professionals alike. Ty thoughtfully explained the intricacies of rod parts to me on more than one occasion. 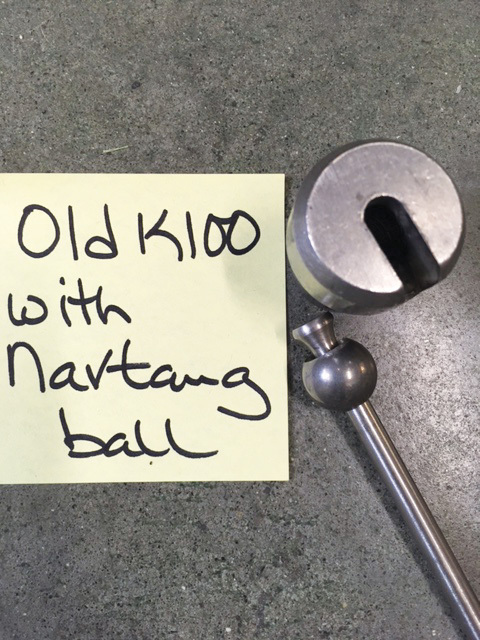 Stainless and rod components like these will still be available, but they won’t come from Navtec anymore. Though Hall’s closure came as a surprise to many, signs that Navtec was on the edge – such as production delays and various delivery issues – have been apparent for at least a decade. The good news is that Navtec’s slow decline gave the industry time to adjust. In other words, these closures do not mean the demise of rod rigging in the United States, though they may cause a price increase for rod rigging. Considering these industry changes, this is a good time to examine some of the similarities and differences in how rod and wire rigging function, what the processes for replacement entail, and some best practices for maintenance and inspection. Many cruising boats were originally designed for wire rigs and there is rarely a reason for those boats to consider going to rod. Wire offers excellent value, longevity and availability the world over. A significant majority of sailboats still have wire rigging. Rod rigging generally offers some better performance characteristics, and can be seen on a variety of boats, like many J/Boats, C&C, Beneteau, Waterline, Sabre, and Valiant Yachts, as well as custom racers and cruisers. Rod is constructed from Nitronic 50 stainless steel, a material different from the 316 or 304 stainless steel usually used for wire standing rigging. Nitronic 50 better resists elongation, corrosion, and fatigue cycling. For a given diameter, rod has a higher tensile strength, and less windage and weight per foot of wire rigging. Because rod is not a woven or twisted construction like wire or other synthetics which are used for standing rigging, it is inherently more stable. The lack of stretch allows for less tension in the rig to support the mast, as well as a more reliable set of the rig under varying pressure and loads. This is especially important for rigs with swept back spreaders and masts that are highly adjustable as a part of sail trim and performance. Considering a switch from rod to wire, or vice versa, should involve careful examination of the rig design, shroud angles, mast components, stiffness of the rig, load characteristics and bending moments. A mast with tangs for marine eyes can be a simple switch from rod to wire. Elements affecting this option would be rod to wire size, chain plate pin size, and elongation concerns. Any replacement of rod with wire must have the same or greater minimum breaking load. The wire size selected must match the current mast tang and chain plate pin size or the tangs and chain plates would need to be changed to fit. If you switch from rod to wire, you’ve got to be careful the elongation doesn’t leave you with two-blocked turnbuckles, like this. The stretch factor and the mechanical tensioning of the stay or shroud need to be analyzed carefully. It is possible that a long run of type 316 wire could elongate enough that the turnbuckle becomes two-blocked or runs out of adjustment before the wire is adequately tensioned. A mast with rod stem ball receptacles is likely to be more challenging to convert to wire. This can involve removal of older stem ball tang sets, installation of proper fit compression tubes, bolts, and new tangs for marine eyes or other wire fittings. The sailor will have to weigh the cost of this with the cost of the rod replacement, and think about the different properties of the rigging types. How long rigging lasts is subject to many different factors: age, miles, loads in comparison to break strength, sailing conditions and environmental conditions. Here in the northwest, rigging tends to last longer than warmer climes or those where air pollution is prevalent. The heuristic for wire standing rigging is that it will provide good service for eight to ten years depending on the sailing conditions, environment, and use. It is a good idea to inspect at five year increments or 30,000 miles, which ever comes first. By comparison, rod should be inspected after a maximum of 40,000 to 60,000 sailing miles or six years, whichever comes first. A proper inspection involves un-stepping the mast, scanning the rod inch by inch, and inspection of each cold head. 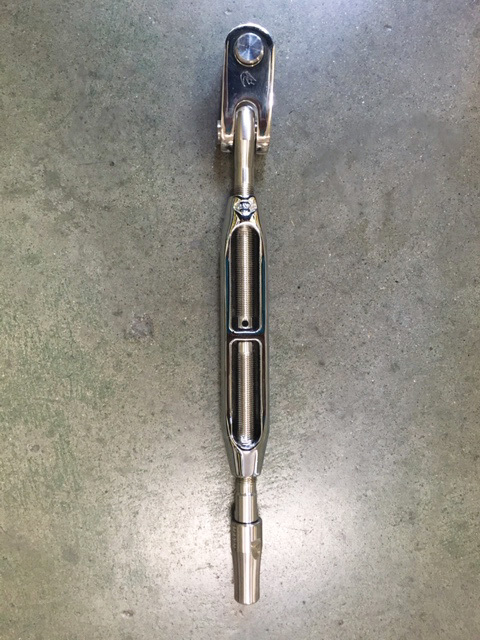 If issues are discovered with the rod heads and there is enough room in the turnbuckles, or longer screws can be used, a new cold head can be formed. It is recommended that the turnbuckles be replaced at least every ten years. Often there will be a stainless or aluminum tube called a “bend” over the rod where it passes through the spreader. The spreader bends are set at a precise angle and this can sometimes mean that the rod in this position will need to be replaced for proper fit of the shroud. 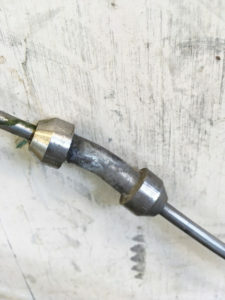 An example of a spreader bend fit over rod rigging. Taking care of your rod rig has similarities to caring for a wire standing rig. Like wire or other rigging materials rod wears out from cycling, fatigue, and corrosion. It stands to reason that keeping the stainless clean, allowing it to breathe, and proper tension will prolong its life. Here in the Pacific Northwest, any rigging shop that has previously been able to accommodate rod rigging repair and replacement projects can continue to offer that service, despite the changes in the industry. Hayn Marine has purchased and taken ownership of the intellectual property (engineering drawings) from Navtec. They will continue, as they have been for several years, to provide quality rod parts. Despite industry changes, rod rigging is still a viable, and sometimes necessary, choice for many sailors. It can hold a value position for sailors seeking predicable rigging performance for whom the cost of composite parallel construction rigging can be impractical. Lisa Vizzini and her husband, Dan Kulin, are the owners and operators of Port Townsend Rigging.